January 23, 2019 - Marketing & Brand Strategy. Steve Poppe, Founder. What does it mean to be more strategic? Does it mean more analytical? Smarter? Does it mean you flail around less looking for a solution? 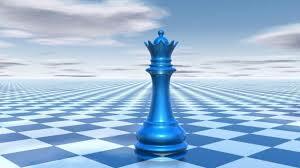 Are you more successful when strategic? Once in my career at McCann-Erickson a supervisor told me I needed to be more strategic; it cut me to the bone. But I wasn’t sure what to do to fix it. It was a swipe and advice sans solution. I had to figure it out on my own. “Strategic” doesn’t come with a handbook. The problem with branding, and therefore marketing, is that strategic people often don’t have a brand strategy. As a result they are strategic but with tactics. Or objectives. More money, more margin, more more. Unfortunately, they’re not building a brand. Not using “an organizing principle for product, experience and messaging.” With branding the ends trump the means.